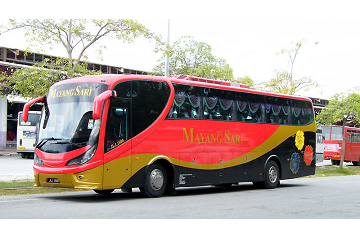 Mayang Sari is a well-known and prominent express bus operator based in Johor, Malaysia that is owned by Aerosystem Tour and Travel. Located in Muar, this reliable transportation company started their bus services in 1993 with only two buses. 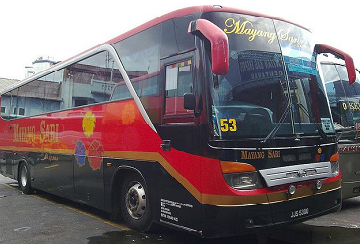 Due to high demand, Mayang Sari has expanded their fleet to 100 buses to date with many bus schedules available. 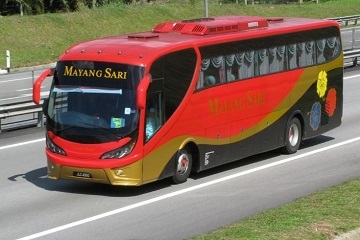 Book Mayang Sari Express bus tickets conveniently at Easybook’s online booking website today. 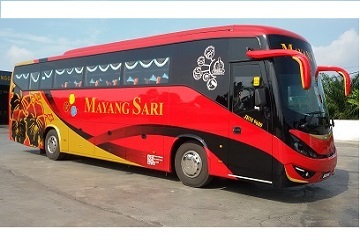 The buses offered by Mayang Sari Express ranges from single decks with 27 or 30 seaters and double decks with 45 seats. Each coach is equipped with 2+1 seating arrangement for a spacious interior and maximises the moving space with bus amenities that include WiFi service, charging ports and television for onboard entertainment. Have a pleasant trip with Mayang Sari Express as the hired bus drivers are professionally trained. Mayang Sari offers various return trips with the coaches departing from cities in Johor such as Muar, Pontian and JB Larkin Terminal to major cities all around Peninsular Malaysia. Return trips offered by Mayang Sari include bus services with varied bus schedules to Melaka Sentral, Penang, Kuala Lumpur and other popular destinations, as well as return bus ticket from Kuala Lumpur to Pontian in Johor and Kuantan in Pahang. The pick-up point for the trips to Johor from Kuala Lumpur is at Terminal Bersepadu Selatan (TBS), Muar Bus Terminal for those commuting from Muar and Mayang Sari Express bus services at Pontian Bus Station accordingly. Travellers can now check out online booking bus ticket via Easybook conveniently. Book Mayang Sari Bus Ticket at Easybook Now! 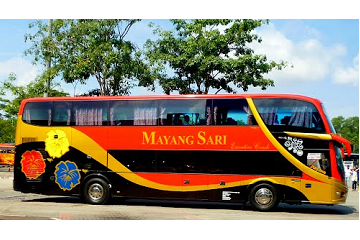 Booking Mayang Sari bus ticket is practically feasible with the help of Easybook easy-to-navigate online booking platform. Review the bus schedules and ticket fares instantly on our website anytime and place. Kick start an unforgettable road trip to anywhere you desire with Easybook today!